India on Wednesday successfully put into orbit in textbook style its fifth navigation satellite called IRNSS-1E powered by its own PSLV rocket. India's successful launch - its first this year - has now moved it closer to joining a select group of nations possessing their own satellite navigation systems. The Indian Regional Navigation Satellite System (IRNSS) consists of a constellation of seven satellites of which five - IRNSS-1A, IRNSS-1B, IRNSS-1C, IRNSS-1D and IRNSS-1E-have been put into orbit till date. Exactly at 9.31 a.m., the 44.4-metre high Polar Satellite Launch Vehicle (PSLV) rocket weighing 320 tonnes blasted off into the morning sky with an orange flame tailing it. Gathering speed every second, the rocked zoomed ahead amid cheers of ISRO officials and a media team assembled at the rocket port here. 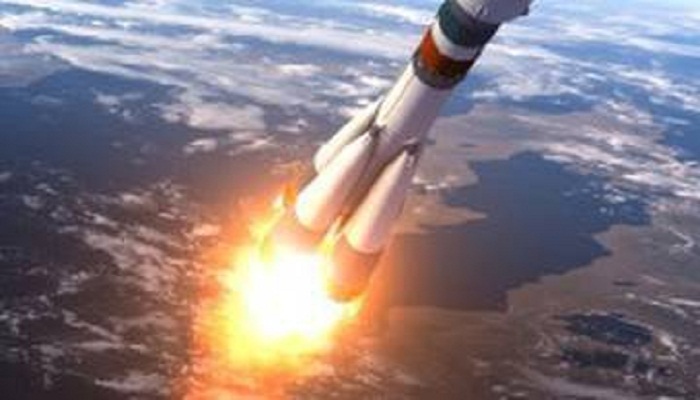 At the rocket mission control room, Indian space scientists with bated breath remained glued to their computer screens to watch the rocket escape the earth's gravitational pull. Just over 19 minutes into the flight, the PSLV rocket detatched from IRNSS-1E. Soon after the ejection into the orbit, the satellite's solar panels were deployed. The satellite's control was taken over by the Mission Control Facility (MCF) at Hassan in Karnataka. The MCF will manage the satellite's orbit and fire the on-board motors till it is placed in its slotted orbit. The Indian space agency's officials earlier said that the concept of IRNSS has been proved a success by the signals received from the first four orbiting navigation satellites. According to officials, two more navigation satellites will be launched soon to complete the launch of seven satellites required for a fully functional system. The IRNSS system also includes two satellites on the ground as stand-by. Each satellite costs around Rs.150 crore while the PSLV-XL version rocket costs around Rs.130 crore. The seven rockets would involve an outlay of around Rs.910 crore. The space agency's officials said IRNSS system was unique in the sense that it comprises of only seven satellites while other similar systems in the world have more than 20 satellites. However, while other systems are global, the Indian system is regional in nature. Once fully operational, the IRNSS will provide accurate position information service to users across the country and the region, extending up to an area of 1,500 km. While ISRO is silent on the system's strategic application, it is clear that the IRNSS will be used for defence purposes as well. The IRNSS is similar to the global positioning system (GPS) of the US (24 satellites), Glonass of Russia, and Galileo of Europe, China's Beidou. While GPS and Glonass are fully functional global systems, the Chinese and the Japanese systems are offering regional coverage whereas Europe's Galileo is yet to be operational. The IRNSS will provide two types of services - standard positioning service and restricted service. The former is provided to all users whereas the later is an encrypted service for authorised users.